The Nintendo Switch is an incredibly tantalising prospect, the ability to start a console quality game in the living room and be able to take the exact same game on the go. Nintendo will be giving details on the console at 4am GMT (8pm PT, 11pm ET and 2pm AEST) on January 12 — before the announcement, here at T3 we wanted to give our final thoughts about what we want the console to be (before we’re either made incredibly happy or let down). The Nintendo Switch is a sleek looking device and it has the power to play console quality games on the go. 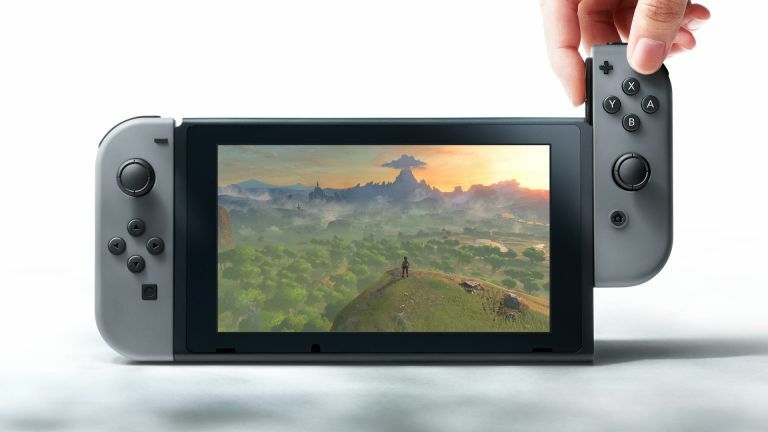 Nvidia has already confirmed they are manufacturing a ‘custom Tegra processor’ for the Switch — it was reported the chip inside the Switch development kits is the Tegra X1 that’s also found in Nvidia’s Shield set-top box and the Google Pixel C tablet. It’s currently unknown what the battery life Nintendo’s new console is going to be, the company doesn't have an amazing record of recent battery life with the Wii U GamePad being known for its poor 3-5 hours of battery life, and that was only giving you a second screen experience, not playing games in their entirety. The Switch needs to reach at least 3-5 hours of battery life for it to be a success, because when you think about handhelds, you don't actually play them for that long before they’re back in the house again. This time would allow gamers to get through an entire flight or long car ride without the console dying on them. It seems as though Nintendo is trying to find the right balance between great specs and incredible battery life. If Nintendo puts the resolution on the screen of the device down to 720p to preserve battery life on the go it has to compensate gamers by at least being able to display in 1080p when it’s connected to a television. In a day and age where other consoles are boasting about 4K and HDR, Nintendo has to at least reach the standard of 1080p in some fashion. We won’t know exactly how powerful the Nintendo Switch is until it’s released to the public and teardown videos start appearing online. However, the console has to be powerful enough to handle games running on PlayStation 4 and Xbox One for it to succeed. In the reveal of the hybrid system, the video demonstrated The Elder Scrolls V: Skyrim Remastered running smoothly. Games released on the PS4 and Xbox One need to have Switch ports in order for the console to not only gain third party support but also have a unique selling point. If a gamer is choosing between getting a game on PlayStation 4 or the Switch, the fact the Nintendo console allows you to take the game wherever you go will surely sway gamers to getting the Switch version. Having the horsepower under the bonnet means third-parties can more easily bring their games over to a system — no company is going to waste the time and resources developing a dumbed down version for the Switch. After Nintendo knows every third-party game is going to come day in date with PlayStation and Xbox versions, it then needs to go out and make deals with companies to get exclusive content on the platform to further persuade consumers they need the new platform. It’s clear Nintendo has been winding down on first party production for titles on the Wii U and 3DS for a while now, this gives T3.com high hopes for an amazing launch lineup, especially as now Nintendo can unify all their first party teams and put all their efforts into one console. A new Mario game was showcased in the reveal trailer along with upgraded ports of games such as Mario Kart and Splatoon and of course the new Zelda is being showcased as a launch game for the system. Here’s hope for all of these and a few surprises at launch. Nintendo has to combine first and third party support in order to have a launch lineup that’s followed by regular new games and avoid the droughts that plagued the Wii U. A regular stream of games is needed to keep gamers invested in a platform. The Nintendo Switch needs to hit the sweet spot when it comes to price. Rumours are circulating that the console could cost as little as £200 when it releases in March — Nintendo recently stated they wouldn't be selling the hybrid system at a loss, however if they can reach a price point that’s low and have games backing the system, it’s going to be very competitive with what’s already on the market. The most under-rated feature on current Nintendo systems is the Virtual Console that allows you to download a ton of old games and play them on something contemporary. The Switch should take this concept and drastically improve upon it, perhaps including GameCube into the roster as another way to add to the game library of the system, especially at launch, and to give nostalgic players a reason to try the system. One of the reasons why the messaging with the Wii U was so muddled and confusing was because the old Wii hardware still worked with the system. This meant when Nintendo tired to advertise the new system and people saw controllers they already owned laying around the house, they assumed the Wii U was an addition to the system they already owned, not a entirely new one. To avoid mixed messaging like this, Nintendo needs to cut the red tape of previous generations and start fresh. Achievements and Trophies, present on Xbox and PlayStation respectively, matter to a lot of people and until now Nintendo has been missing out by not giving players a system akin to these. Having a reward system gives replay value to games, keeping people invested in games for longer, which will prove useful for Nintendo in times where new game releases slow down.